Kirkhill's Craig Ross, pictured, first man off the tee at 2.30pm, won today's Golf Finance Summer Series' 18-hole competition with a seven-under-par 61 over the Queen's Course at Gleneagles Hotel. Runner-up was Paul O'Hara (North Lanarkshire Leisure) with a 63. Another great event on The Big Johnson's Tour Golf Finance Summer Series and another epic venue, Gleneagles' Queen's course,, which was in fantastic condition. We were spoiled with the hospitality from the clubhouse staff who provided a great lunch meal before we teed off, and full use of the practice facilities. Winner of today with a magnificent score of 61 -7 was Craig Ross followed closely by Paul Ohara with 63 -5. 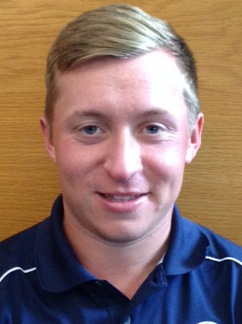 Special mention to Lawrence Allan for shooting level with 18 straight pars, a first on The Big Johnson's Tour. Massive thanks to all at Gleneagles for hosting us and Golf Finance for sponsoring . Our next event is at Downfield Golf Club, Dundee on Sunday, May 20. Tee times between 1 and 2 pm. Entries open from Thursday.